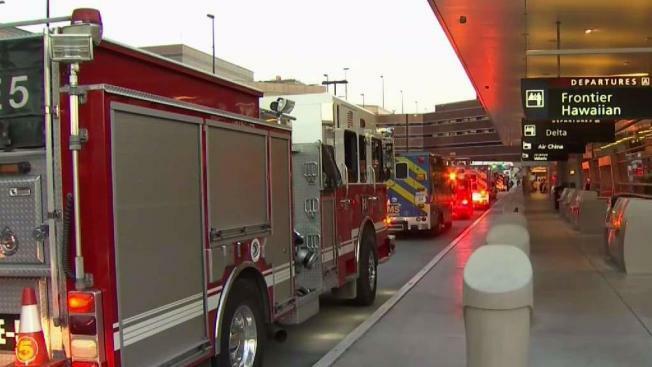 Emergency medical responders converged on Mineta San Jose International Airport on Thursday evening for sick passengers on an arriving flight. On a Delta Airlines flight from Minneapolis, Minnesota, a child vomited, and several other passengers became sick, airport officials said. Paramedics and fire crews rushed to the airport to meet the plane as it landed, but in the end, only one passenger was treated for motion sickness, officials said. One passenger said about six to eight people were asked to stay on the plane to get checked out. The person treated was released, and the incident did not stem from anything serious officials said.